I am currently in the process of reading, The Next 100 Years by George Friedman. In this book Friedman discusses a view of which I wholeheartedly agree with, and have for some time. This view is that China will not become the major global economic power that most people have think it will. In fact it is my personal belief that China is heading for a major crash, and as individuals it is critical for us to be on the right side of that trade. Friedman believes, as do I, that social inequality is a big reason why China will not become the dominant economic player of the 21st century. This inequality exists between the main geographic regions in China, it exists between individuals in the public and private sphere, and it exists between the rural and urban sectors of society. In this article I will explain, in depth, why China is not the future of the world, why inequality is a central reason why, and how as individuals (and as nations) we can be on the right side of that trade. I will begin this article by stating what most of you will probably now be thinking. And my answer to what you will all now be thinking is that yes, the coming China downfall is a trading opportunity, as anything in life is. It is my belief that life is a makeup of trading opportunities, and our goal as individuals is always to take advantage of the best trading opportunities that are thrown at us each day. And similarly as nations, it is always the collective goal of those in power to closely analyze trading opportunities and make the best decision of the opportunities which are given. From a personal standpoint, as well as from George Friedman's standpoint, New Zealand has taken the wrong side of the China trade. New Zealand is full-throttle long the China trade, and has not hedged its bet at all. All you see here in the farming papers is about how the farming leaders and those in government want to exploit on the opportunities in China. All the talk is about looking at the past growth of the Chinese economy and blindly expecting it to continue. The government here is even allowing the Chinese to buy up our land, obviously assuming that the linkage of our economy with theirs will be a good thing. 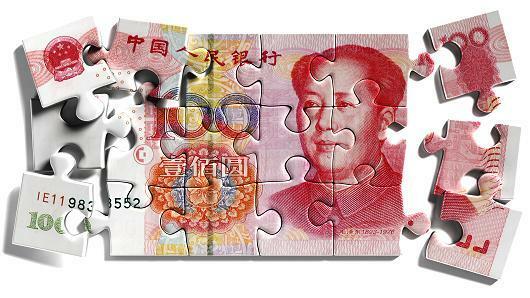 Foreign direct investment from China stood at $391 million in 2013. Most of our people in power, including the government and many private sector leaders, have clearly missed the warning signs. An example of this currently, is with Fonterra (the NZ dairy giant), who are seeing the prices they can receive for their (exported) milk products collapse. Most of their (supplier) dairy farmers, who are burdened by high debt levels, will not be able to maintain break-even in this coming season. The main reason for this is because of a global glut in milk supply, but the underlying reason for this is because of Fonterra's failure to diversify away from the commodity trade. They simply answered China's demand for raw product like a blind person. Watching the exponential growth levels of China's economy over the past 30 years was all the proof they needed that they should continue with the commodity trade, and even increase it. NZ recently negotiated a free-trade deal with China, and the dairy export trade is currently sitting at $5 billion NZD. But why should we be cautious about going long the China trade? The reason, as Friedman says, is because in China there are still some massive internal issues that will prevent it from becoming the major global economic power. The first of these issues is that China is an island. Not by definition, but technically they are. To the north is Siberia and Morgolia, largely impassable terrain. To the southwest, the Himalayas, and to the south is more impassable terrain. Just because China is an island though, that doesn't necessarily prevent it from becoming the global power. It is only when you consider that it's rugged inland terrain has created a serious internal issue, which is that the vast majority of the nation's population lives within 1000 km of the ocean. The inland interior, which is geographically most of China's landmass, is still very rural. The trade with the coastal cities has made them more prosperous, but the interior has still been left impoverished. In addition to this, China has come off a very low base. It's growth in export trade has come from producing low cost goods, and now that they have moved off their low base, they are going to find it nigh on impossible to keep up their previous levels of growth. The other reason that Friedman sites is that China is not a truly capitalist country. For the first thing, most of the so-called private property is actually owned by the state. In addition to this, private business in China is done selflessly. Family ties are often valued far more than cold profit motives. What this means is that a huge amount of (private) bad debt has been created, because whether or not an individual can pay back a debt has been frequently overlooked. For example, the Agricultural Bank of China has reported a 28 percent increase in bad loans over the last six months of 2014. Domestic business confidence has never been so low. And as it was shown when the U.S. housing market collapsed in 2007, bad debts will eventually catch up with the system. The same thing will happen in China, and when it does, the government will try to put the brakes on the crash. But with the economy being so incredibly sparse and disparate, this will be impossible, and the government will inevitably lose control. The bottom line with China is that for it to truly become the dominant global power, it needs to united along societal lines. But unfortunately the inequality issues inherent in the society will make this impossible, and in fact the years of fast paced growth have created severe unbalances in the economy that will cause it too crash.